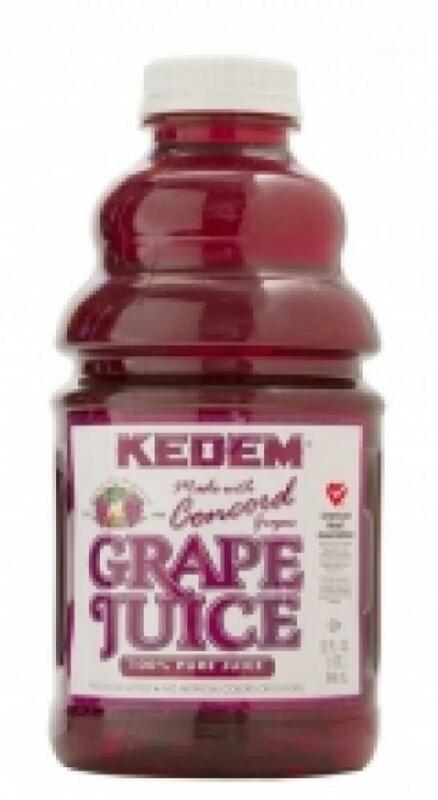 KEDEM 100% PURE GRAPE JUICE IS RICH IN FLAVANOIDS, WHICH MAY HELP PREVENT HEART DISEASE. KEDEM GRAPE JUICE IS PRODUCED WITH THE FINEST, NATURAL CONCORD GRAPES. ENJOY THE PURE, HEALTHY GOODNESS OF KEDEM GRAPE JUICE. NO SUGAR ADDED, NO ARTIFICIAL COLORS OR FLAVORS. INGREDIENTS: GRAPE JUICE, GRAPE JUICE FROM CONCENTRATE, POTASSIUM METABISULFITE ADDED TO ENHANCE FRESHNESS.